Great post! And area of interested is the variation. 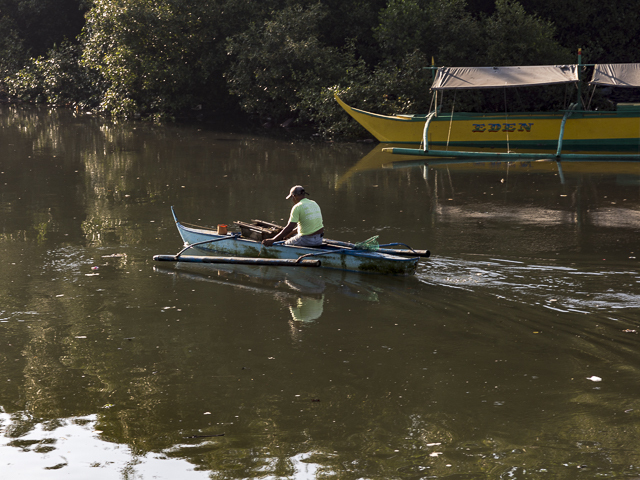 Wonder if the guy in the last photo is paddling his boat backwards? One interesting variation is on some interisland moderate size bangka that steel drums are lashed on top of the booms. The stability depends on the crew and cargo being central. 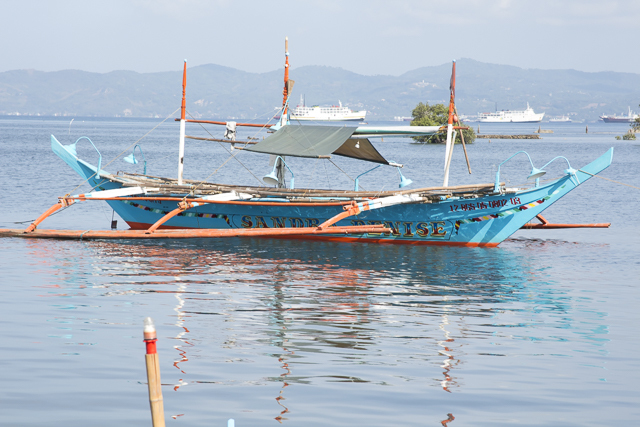 The outriggers (katig locally) rely on very light sinking loads. 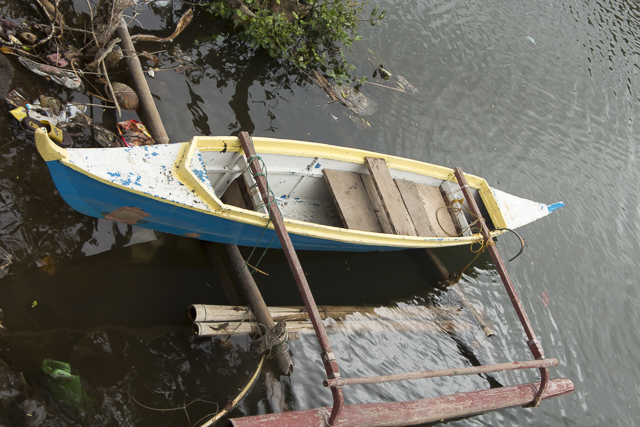 So if crew or gear moves off centre then the boat has growing stability until the katig are underwater (only need to be pushed down a foot) and then there is no additional stability to be found. 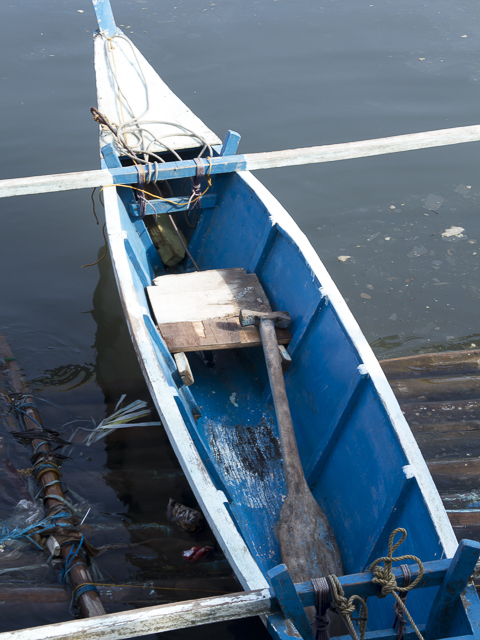 This doesn't make the boats dangerous! Unless cement bags or people are stacked on the roof or move off centre in the main hull. Happily the hulls are designed nicely to keep everything central. 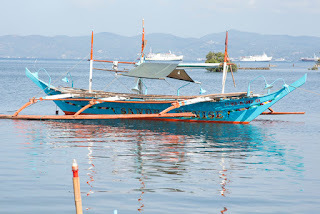 I had a couple of articles on Philippine boats. Oh .. forgot my Photo. Please feel free to use anything with acknowledgement. 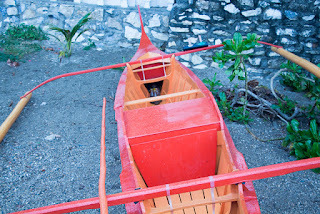 This shows a bangka with empty drums to give more buoyancy if the boat starts heeling excessively. There's about 400kg or around 900lbs of buoyancy per side. Mike -- Many thanks for this input. 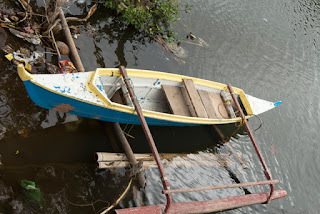 I had not seen the use of steel drums for added buoyancy on bangka outriggers before. 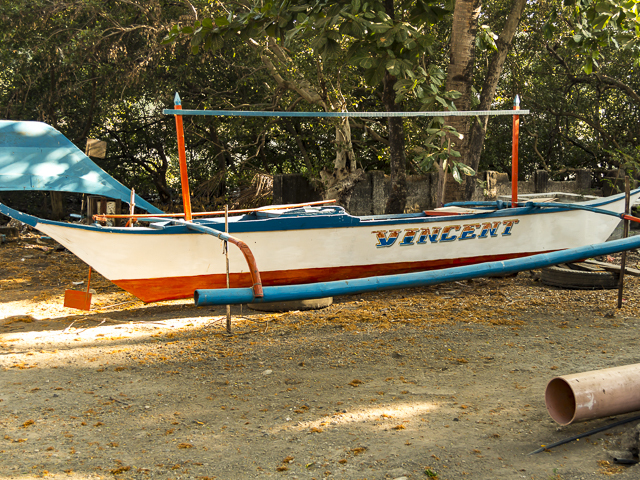 Regarding the small bangka with the outrigger floats angled the "wrong" way -- I considered the possibility that the boat was being paddled backwards, but the shapes of the stem and sternpost make me think otherwise. 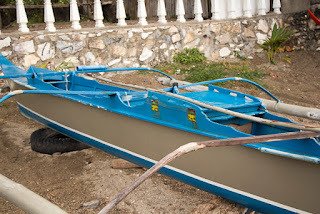 Here's another speculation: perhaps the entire outrigger assembly was removed as a unit for some reason (e.g., boat storage, maintenance), and then reattached backwards. Your blog is great! 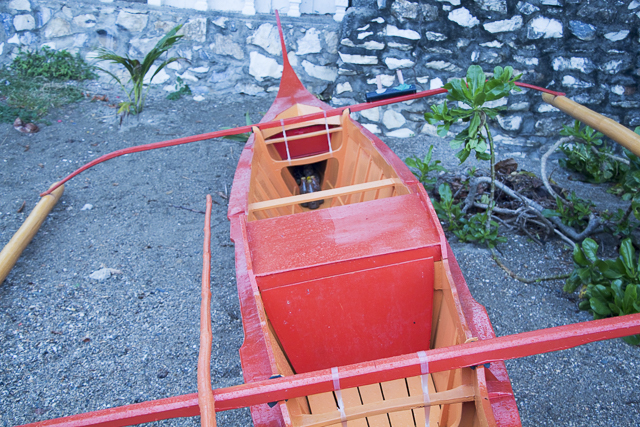 Plenty of interesting articles there about the kinds of boats we like. I can't figure out how to subscribe to it. Please let us know. Thanks again. Excellent essay, as usual. I wonder also, if the flatter forward cross-beam in the first photo is the strongest configuration in that part of the outriggers most subject to stress. So, you get two things, strength and an reduction of a nose-diving ama. I joined Carlos Solanilla for the 2009 Everglades Challenge aboard his 21 foot "paraw" like outrigger canoe. 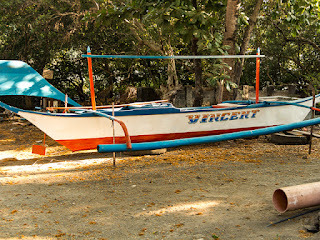 He used a skinny proa center hull with two 5 inch diameter, 20 foot long bamboo amas, with curved cross-beams like a paraw. 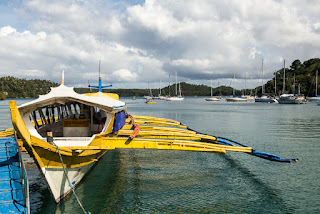 I was struck by the fact that I could push these bamboo amas underwater with my foot, but while sailing I was aware of no bad habits or surprises (though we did have light air). I have also noticed that they can be submerged quite easily by foot, then it occurred to me while they are moving they provide some buoyancy but also act as a bit of a wing, providing lift, thereby increasing buoyancy.